Watching the big-screen version of It only emphasizes how strange Stephen King’s novel really is. Adapting a more than 1,000 page book into a feature film—or half of it, as director Andrés Muschietti has done here—is a daunting task in and of itself, let alone a novel that features a cosmic turtle and an immortal shape-shifting clown who feeds off of the fear of children. 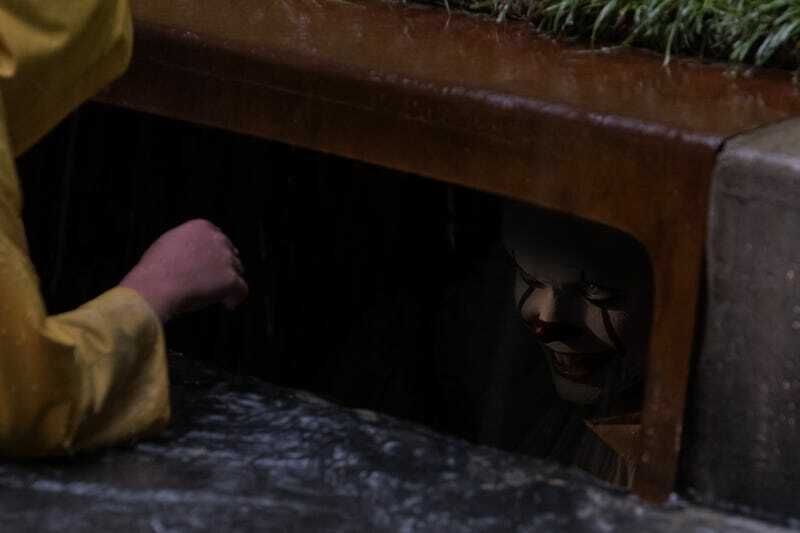 In adapting It for the screen, writers Chase Palmer, Gary Dauberman, and Cary Fukunaga (the latter of whom was also attached to direct at one point) have made some significant changes from King’s book. Some are for the better and some are for the worse, but they’re all in the service of conventional three-act storytelling. Probably the biggest change is that the action has been moved up from 1957-58 to 1988-89, the summer when the seven preteen outcasts who call themselves the Losers Club come together to fight the monster that’s been killing children in their hometown of Derry, Maine. (The other half of the novel, their rematch with It 27 years later, will be addressed in the sequel.) The update makes sense, given that today’s thirtysomethings grew up in the ’80s, not the ’50s. It also provides an excuse to punch up the dialogue with comic asides, enabling Stranger Things’ Finn Wolfhard to walk away with every scene he’s in as precocious motormouth Richie Tozier. But the temptation of familiar cultural signifiers proves too great, and the film leans a little too hard into winking references to Michael Jackson and New Kids On The Block, losing the classic feel of King’s novel in the process. For a film that takes its time with its characters and packs every frame with lavish detail—the kids’ show that plays on TV in the background throughout, advising young viewers to go play in the sewers, is a nice touch—It is surprisingly unsubtle. A sexual-abuse subplot that largely remains subtext in the book is made much more obvious in the film, and a love triangle between three of the Losers is given outsized importance here compared to the source material. With such earnest attention to detail, and so much detail to attend to, the script gets clunky at points, and the exposition isn’t always handled elegantly, particularly in dialogue scenes. But when it comes time for the scary stuff—and there’s a lot of it, never fear—that same heavy hand becomes an asset. Muschietti excels in creature design, and It contains some very effective and well-executed nightmare imagery. When the supernatural creeps up on the ordinary and our young heroes’ greatest fears are literally coming after them—like the scene where a charred, headless corpse chases shy, overweight Ben Hanscom (Jeremy Ray Taylor) through a library under sickly green fluorescent lights—It can be deliciously macabre. The leper who menaces hypochondriac Eddie Kaspbrak (Jack Dylan Grazer) in the book comes to dripping, deformed life, and the blood that comes pouring out of Beverly Marsh’s (Sophia Lillis) bathroom drain is appropriately thick and viscous. We even get a new incarnation of It, a deformed flute player, through tweaks to the character of Stan Uris (Wyatt Oleff). Of course, all of these are simply teasers for the main event, It’s favorite incarnation, Pennywise The Dancing Clown (Bill Skarsgård). 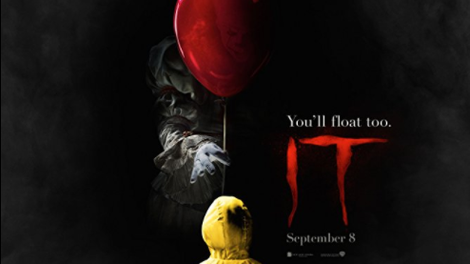 Skarsgård’s performance builds on Tim Curry’s in the 1990 miniseries version of It, delivering dialogue in an unnervingly lisping, clipped tone best described as a cartoon rabbit before abruptly dropping a couple of octaves to a guttural growl. His physical performance, meanwhile, is all limbs jutting out in odd directions and jerky, unnatural movements, which are occasionally sped up to maximize the menace. Also digitally enhanced, and really freaky, are his rows upon rows of teeth, reminiscent of some unspeakable alien creature pulled from the depths of the Mariana Trench. But while Pennywise is legitimately terrifying, overall, It is more intense than it is chilling. No punches are pulled in depicting graphic violence against children, meaning this movie may be too much for even the most Stephen King-obsessed middle schoolers. But aside from the periodic surfacing (no pun intended) of Bill Denbrough’s (Jaeden Lieberher) younger brother Georgie (Jackson Robert Scott)—whose death at the hands (or teeth, as the case may be) of Pennywise kicks off the plot—the anxiety is more brief and pummeling than slow and creeping. There are some good scares, to be sure, but when the movie shifts tones, it does so definitively. Still, certain aspects of It remain burned on your brain like a flashbulb on exposed film. Cinematography from Chung Chung-hoon, Park Chan-wook’s longtime DP, gives the film a richness and texture that’s far beyond that of most Hollywood films, let alone horror films. Combine that with the booming sound design and meticulous production design, and the film’s more fantastic sequences, like a diabolically imaginative scene where the Losers investigate an abandoned house, are downright inspired. And perhaps the writers gave us the best adaptation of a practically un-adaptable book that anyone could give. But it’s hard not to wonder, had the studio not felt the need to clean up this messy, sprawling tale, if this could have been one for the ages.